Hello again! Back with another card for another challenge! This one is totally using the neon!!! It is hard to get it to photograph correctly in the photos - but the part on the left that looks like lighter green? It's actually neon yellow! For this, I started off with a stencil and some clear embossing paste, and masked off the bottom of the panel at an angle. Once I applied the paste and removed the stencil, I quickly sprinkled it heavily with patches of neon glitter - then set it aside to dry for a good long while! 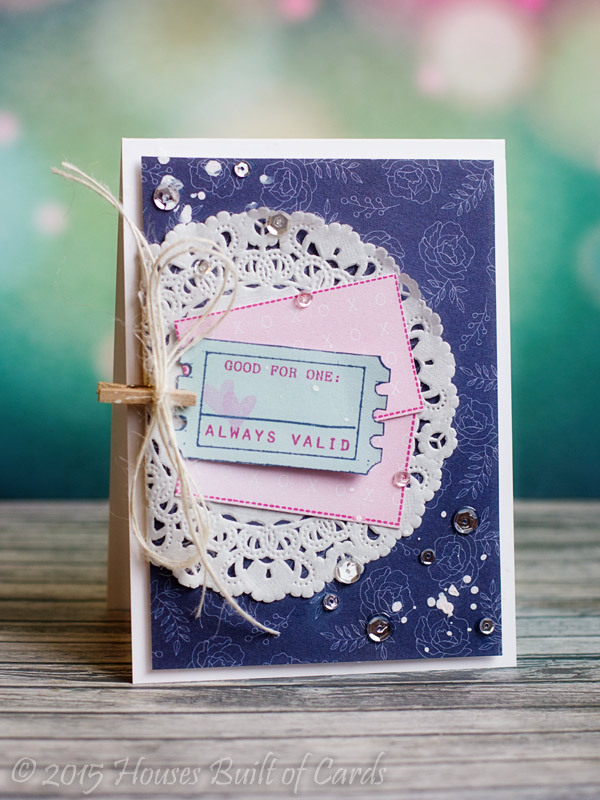 Came back later in the day, shook off any excess glitter, and stamped my sentiment on the bottom using a Neat and Tangled sentiment from Sketchy Cupcakes - I thought the font even matched the title of the inspiration photo! 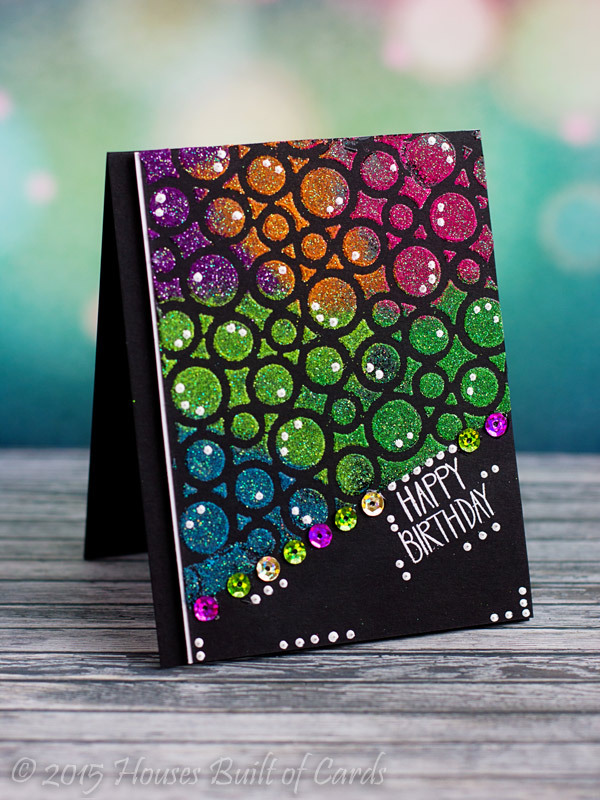 I heat embossed it in white, added some fun bright sequins, and then added random dots of white paint to finish it off, before matting with a thin strip of white cardstock on one side, and mounting with foam adhesive on my card base. I used Paper Smooches Blossoming Buds (had it for a while and hadn't had a chance to ink it up until now! LOVE it! ), and colored with Copics, then fussy cut out to paper piece on my blue paper. Did some angle cutting, some edge tearing, a doily, a bit of gold thread, some Wink of Stella (in the centers of the flowers), and a sentiment from Spiritual Sampler. 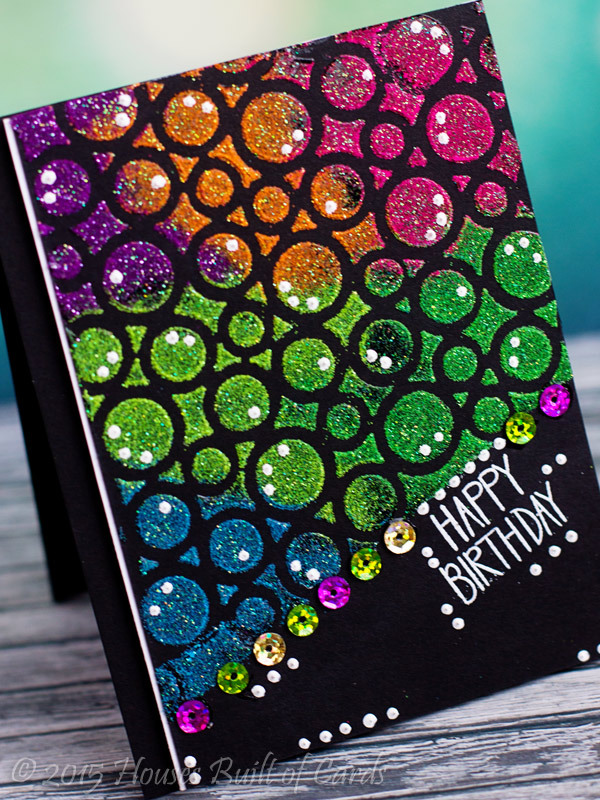 Also did some machine stitching, added some sequins, and inked the edges of my card base with a bit of distress ink. Good morning! 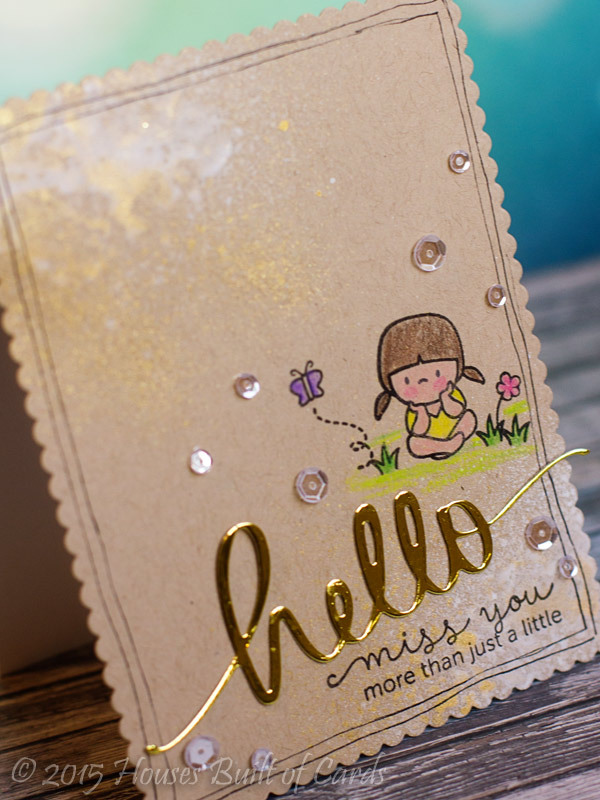 Excited to be back sharing another card this morning as guest designer for Precious Remembrance Shop! 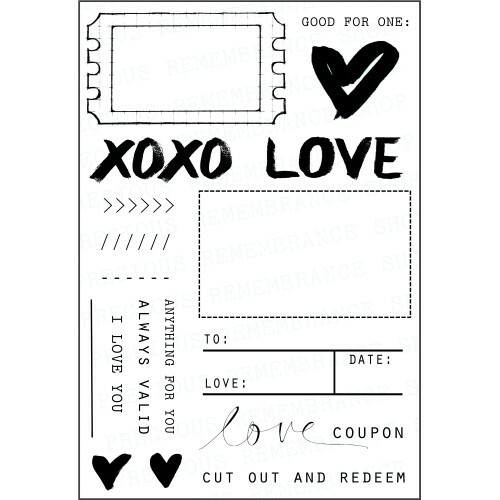 For this card, I thought it would be fun to make a coupon that could be customized with whatever you wanted to write in on the blank! 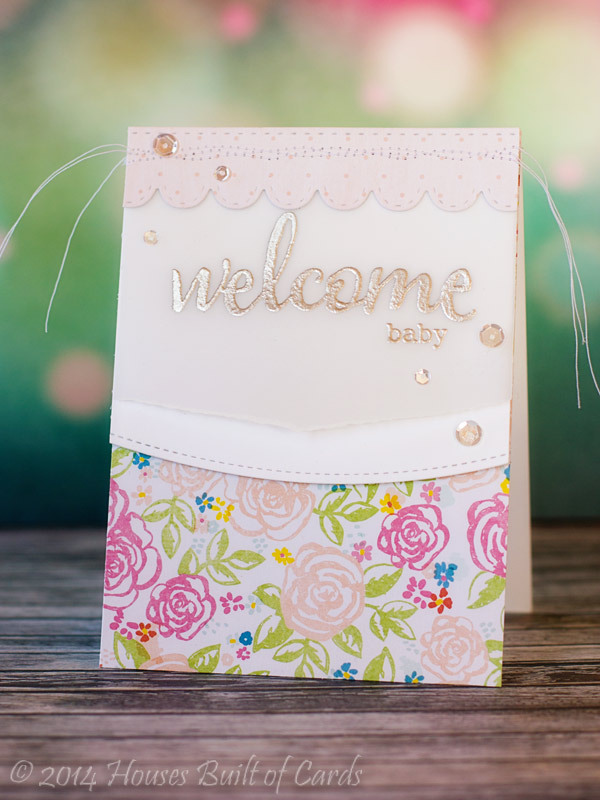 Added some layers with American Crafts pattern paper, a doily, a tiny clothespin with some jute twine tied on it, then a splash of Mister Huey's white mist and some Pretty Pink Posh sequins. 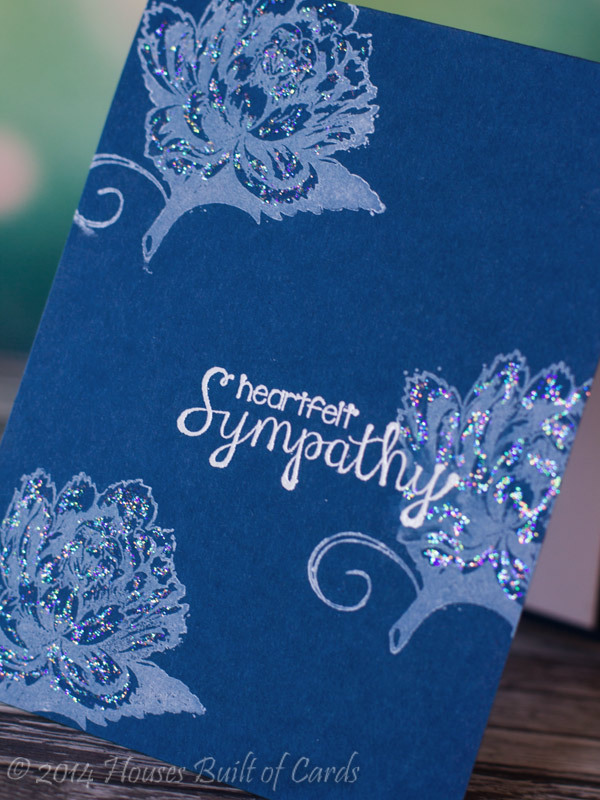 For this simple one layer sympathy card, I stamped the flower from Very Best Friend in white pigment ink on a deep blue cardstock base. 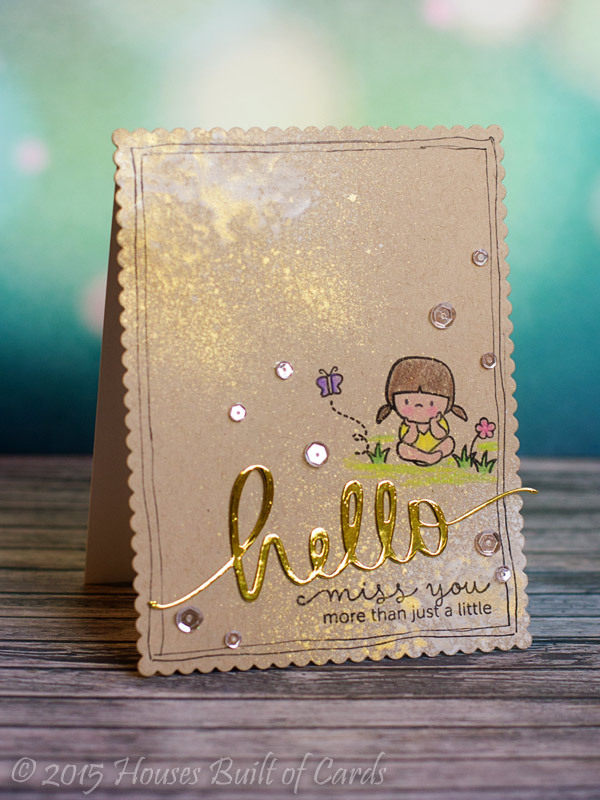 Heat embossed my sentiment from He's a Wordy Buck, then added some Stickles to the flowers for a bit of soft sparkle. Finished off by rounding a couple of corners. Thanks for dropping by! Have a great Friday!!! 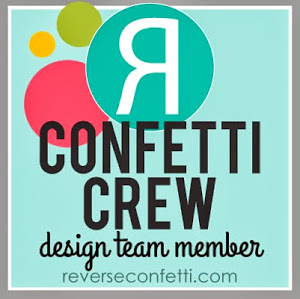 I die cut it with some MFT Persimmon cardstock. 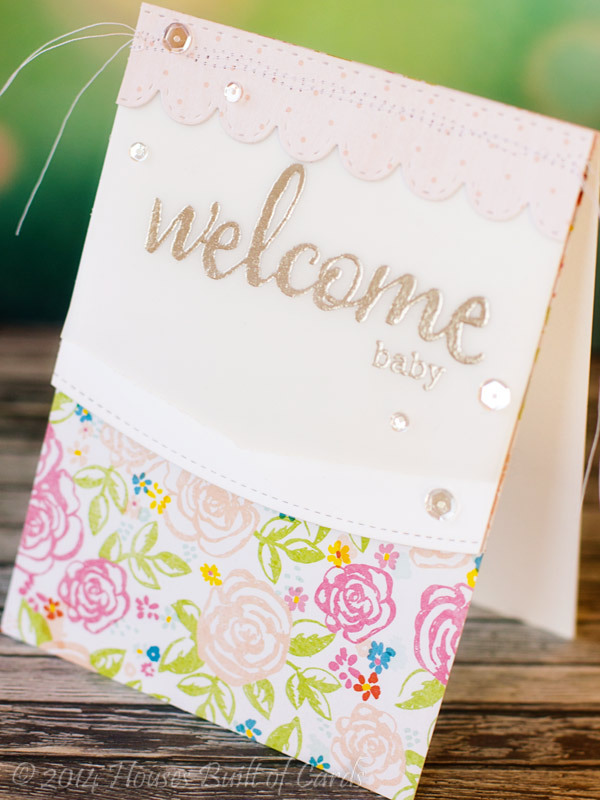 Cardbase is some MME pattern paper, and I stamped a sentiment from Mama Elephant on some vellum that I had torn the top and bottom edges on and heat embossed with Ranger Platinum embossing powder, before attaching it with some machine stitching on the sides. Added several wraps of silver thread with some sequins threaded on, rounded a couple corners, and adding a bit of Heidi Swapp Color Shine on the corners. Finally, tucked the feather under, glued it on the bottom, then used some foam adhesive under the top of it for a bit of dimension. Can't wait to play with more of these dies and try them more! Thanks for stopping by today! Have a wonderful day! Hello again! 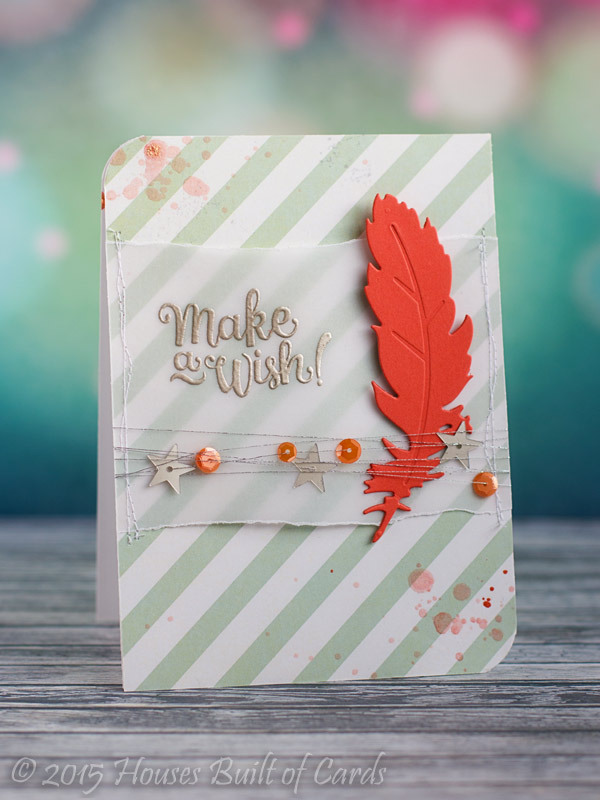 Back with a second card I made for the Winnie and Walter Birthday Bash challenges - didn't realize I must have been in a thankful mood, and used the same sentiment on both cards! For this one, I stamped out my pattern using a little tiny image from A Tree for All Seasons, and the smaller of the same image to stamp over in black. It is really hard to see in the photos, but I also misted it heavily with MFT shine spray - so shimmery and pretty in real life! Die cut the front panel with a Lil' Inker's die, then added some machine stitching to my pattern paper panel - love how those two things tie them together! Finished off with a bit of black jute twine. Thanks for stopping by again! See you soon! 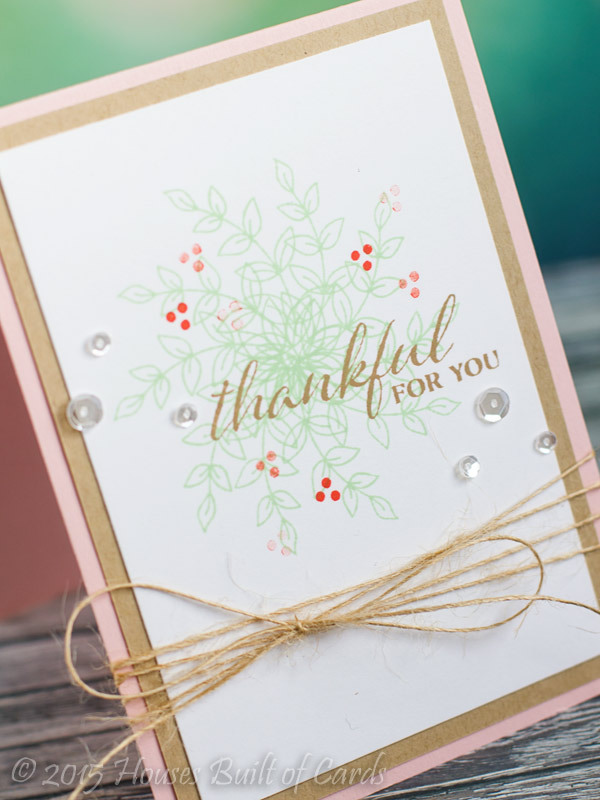 For my card, I picked one of the tiny leaf sprigs from Happy Christmas to make a fun spring wreath! Always super fun to use a Christmas set to make something entirely different! Added a sentiment from A Tree For All Seasons, some jute twine, and a few Pretty Pink Posh sequins to finish it off! Good morning again! 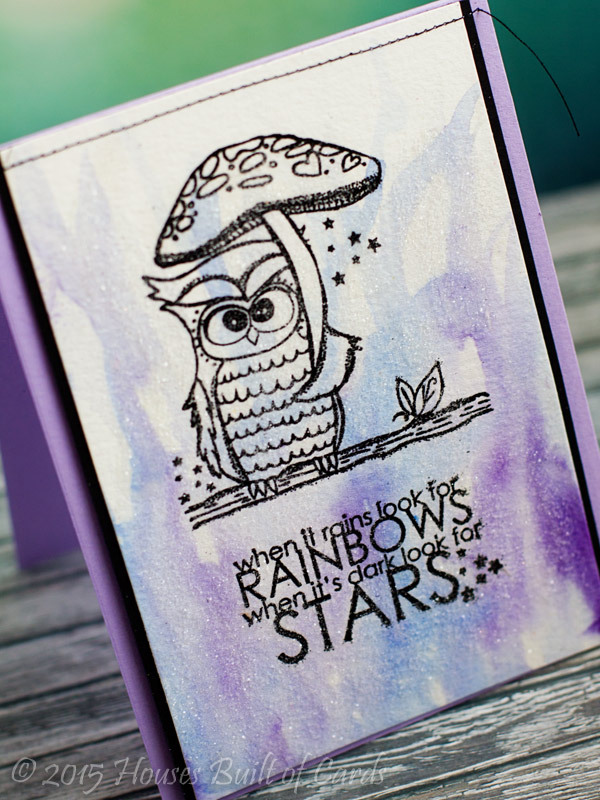 And yep - I have another catch up card today! This one is actually from quite a while back! A good friend in Wyoming had a baby late last summer, and shortly after several of us hosted a baby shower for her. I didn't post this right away so as to not risk her seeing it - and then it kind of got shuffled down the pile! So...it is high time it was shared! 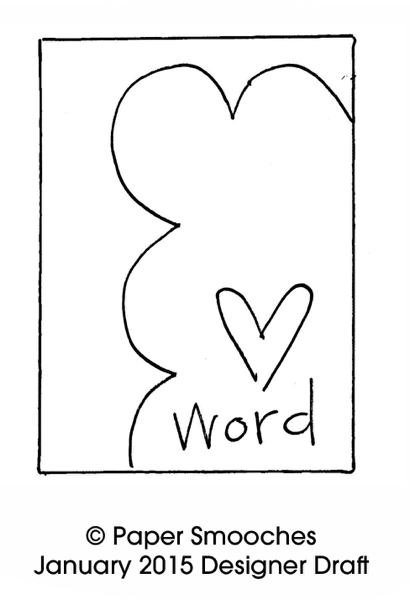 I used some of my favorite script stamps - Winnie and Walter's The Big, the Bold, and the Blessings, and then The Big, the Bold, and the Happy for the little "baby" word. 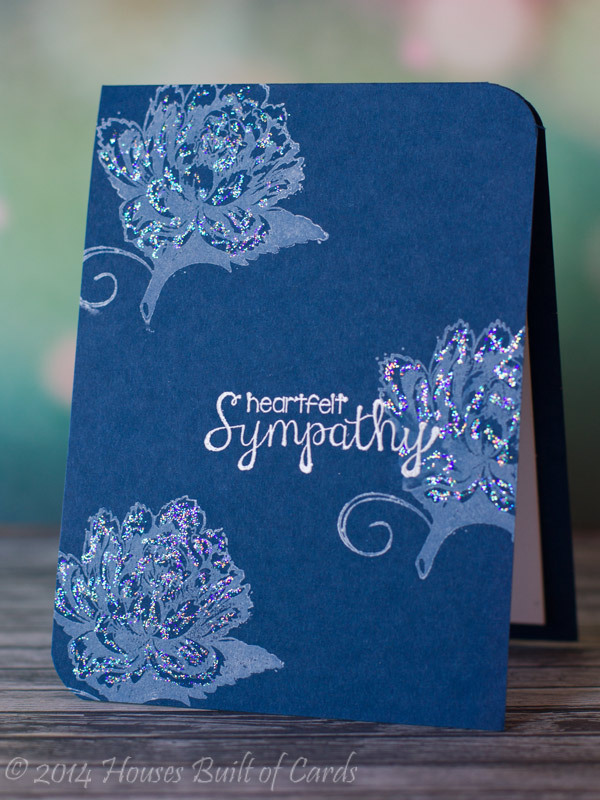 They were both heat embossed on vellum with Ranger Platinum embossing powder. 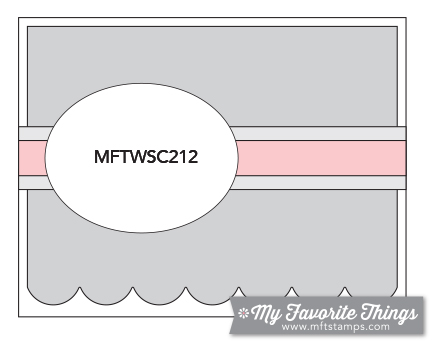 I tore the edge, then layered on a piece of white cardstock that I cut a border on using Pretty Pink Posh's Stitched Borders 1 die on. 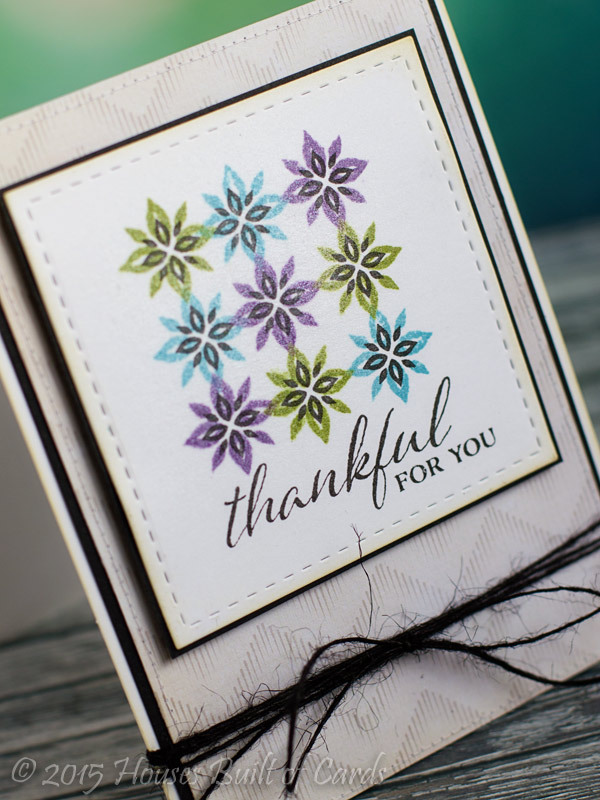 Added some pattern paper from American Crafts, a top scallop border cut with Lil' Inker's Stitched Scallop Border die on. Added some messy machine stitching at the top to attach it all together, then finished off with a few Pretty Pink Posh sequins. I actually used a couple different Mama Elephant products on this. 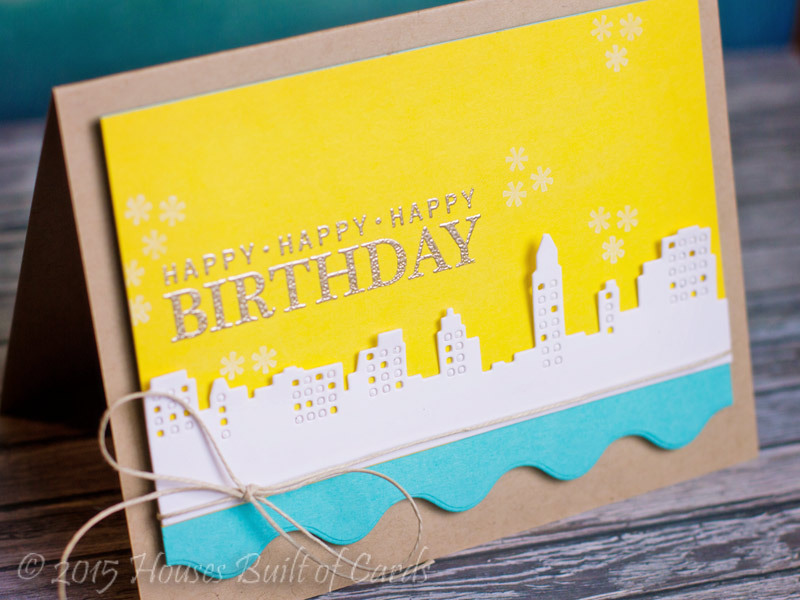 The scallop panel was cut using Index Card dies, and the hello was cut from gold paper using Hello Script die. 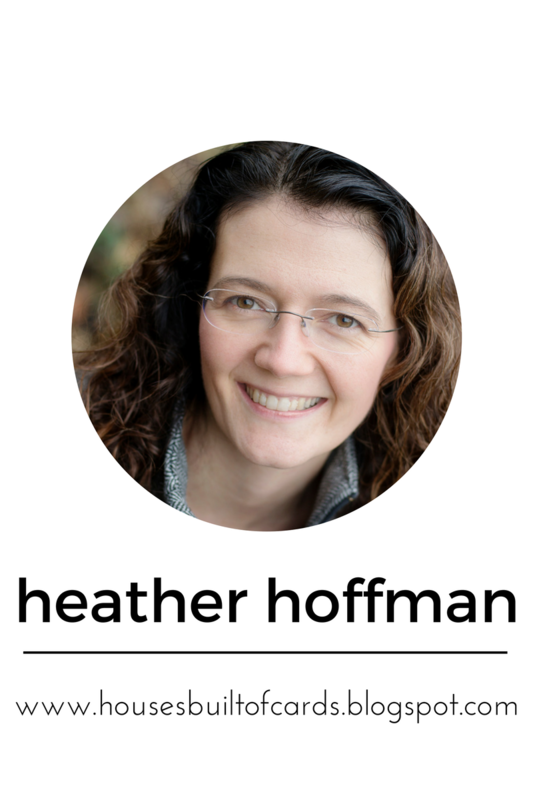 I mised some gold Heidi Swapp Color Shine and Mister Huey's white mist on it - one right after the other so they were wet together and blended a bit. 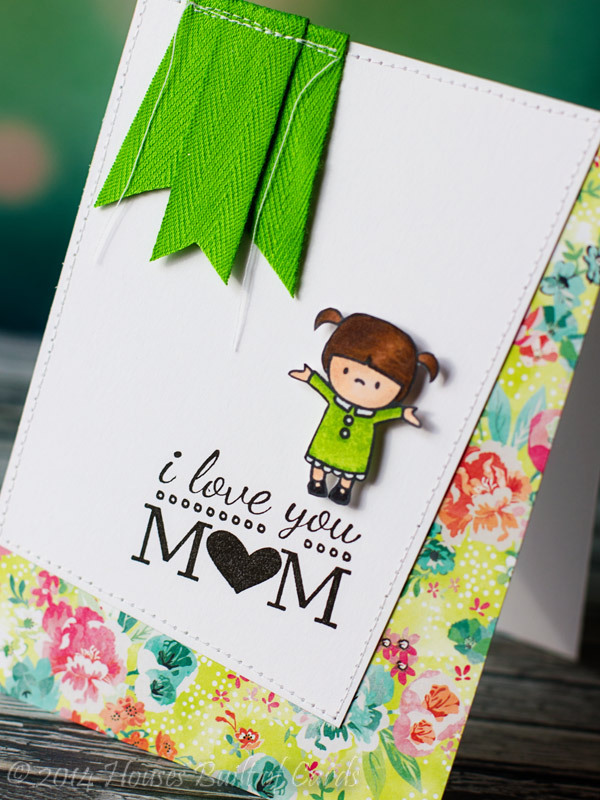 Once that dried, I stamped the cute little girl from In My Heart stamp set, and colored her in with colored pencils. Finished off with a simple pen outline to add a bit of a frame, then a generous sprinkling of Pretty Pink Posh sequins! Thanks for dropping by today! Have a wonderful day! Good morning! Time for the daily catch up post! 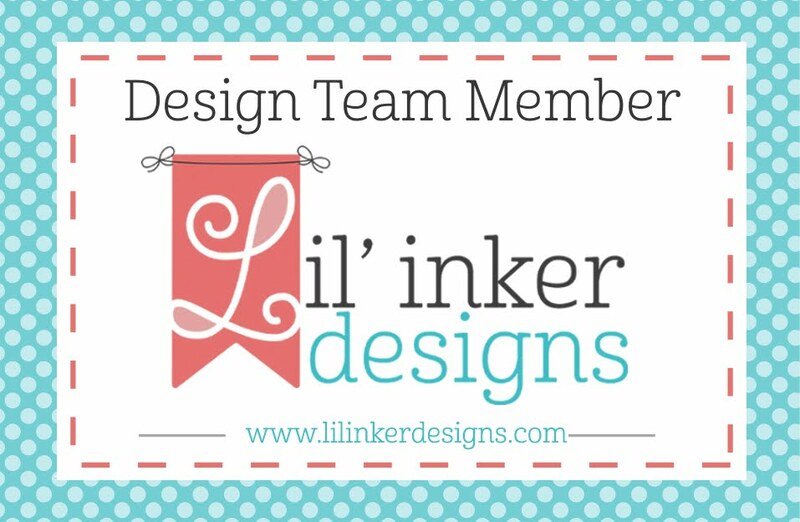 Another publication card that didn't get picked up - but definitely one of my favorites! 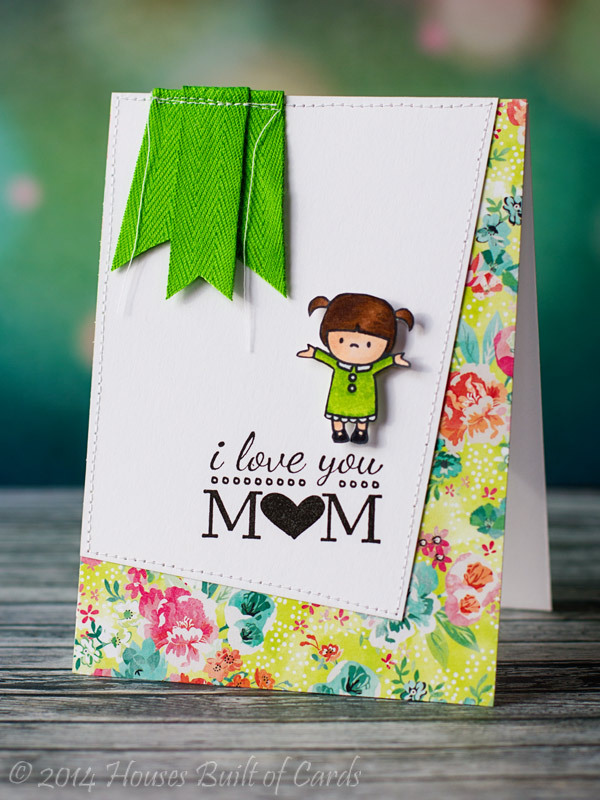 I combined a sweet image from Mama Elephant's In My Heart stamp set, colored and fussy cut out, then mounted with foam adhesive over a sentiment from Unity Stamp Company's April 2014 Kit of the Month. Pattern paper is from Basic Grey, and I used some machine stitching to edge my angled panel of white cardstock and stitch on my banners at the top using some May Arts Ribbon. 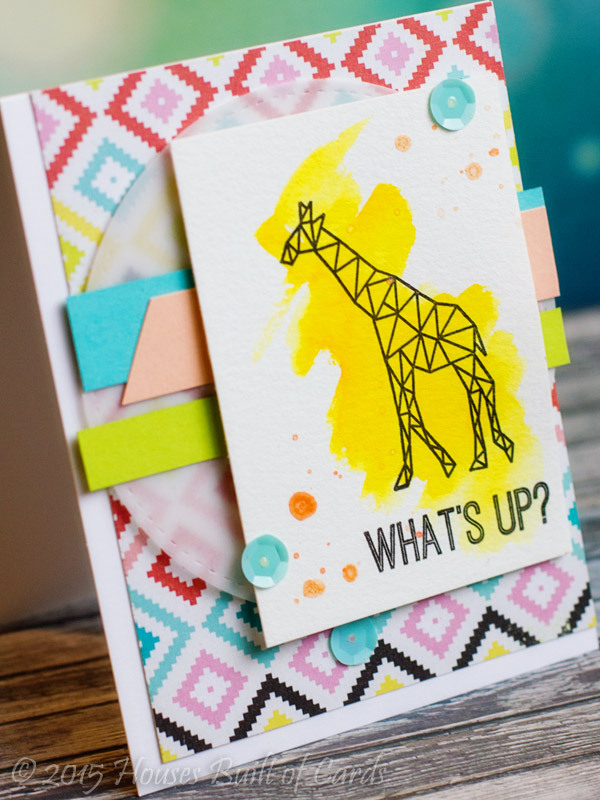 I had fun getting a little artsy and messy on this card! 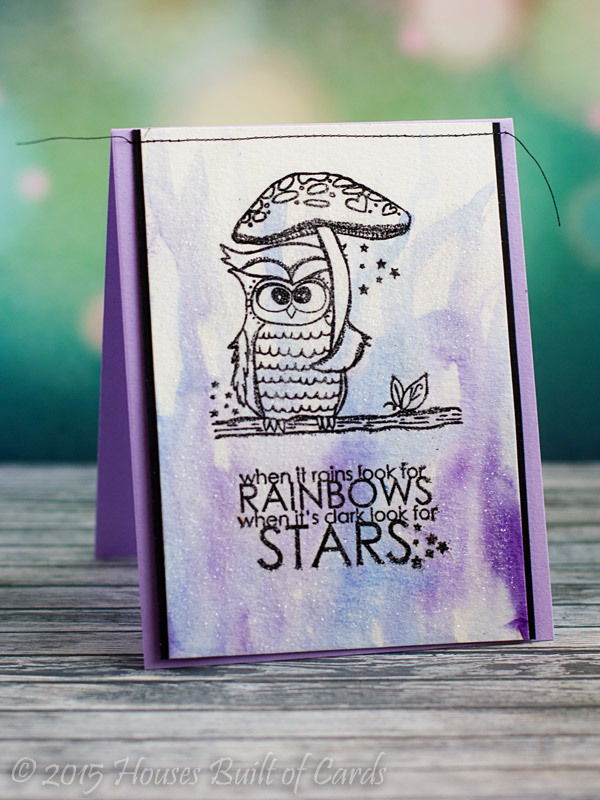 I stamped and heat embossed my image and sentiment using the November 2014 Kit of the Month on watercolor paper, then used a few different purple and blue Peerless watercolors to color in (messily!) from the bottom up. Once that dried, I added some sparkle by painting on some MFT Mix-ables Sheer Shimmer Spray over it. That just didn't feel like enough sparkle, so I decided to up the glitter a bit! 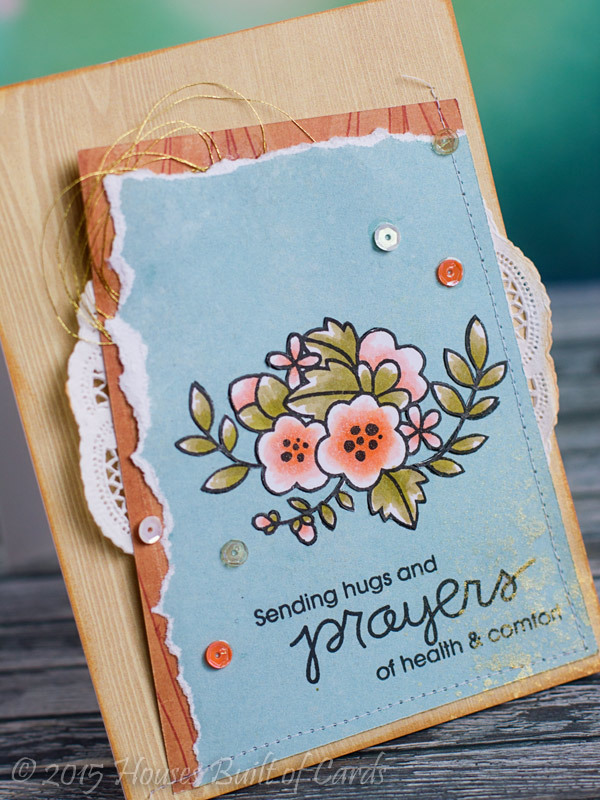 I used my finger to roughly smudge Glossy Accents, also starting at the bottom and working up, then sprinkled with Tim Holtz distress glitter. SOOOO pretty and sparkly in real life! LOVE it! Finished off by just matting in black cardstock, then machine stitching to my card base of SSS cardstock. Thanks for stopping by! 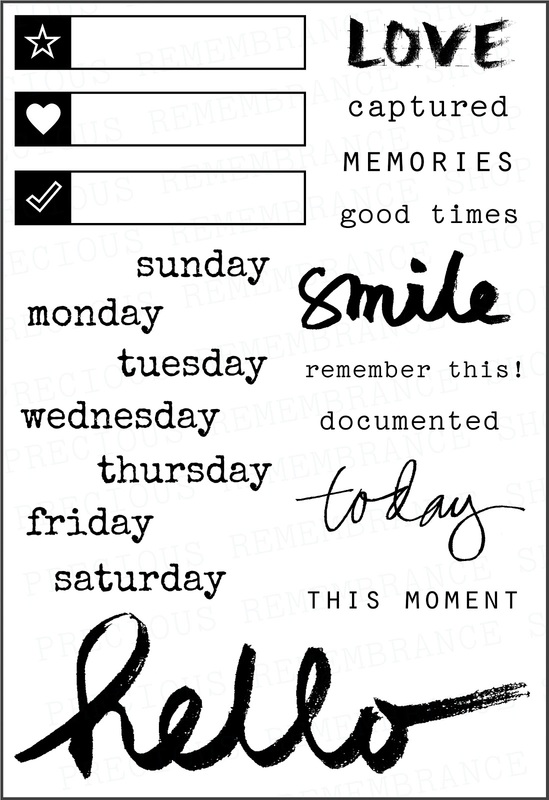 Have a wonderful start to your week! Good morning! 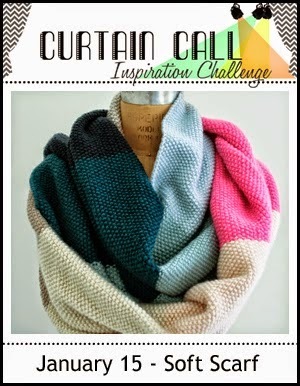 Stopping by with another challenge card this morning! For some reason this card was tough for me! I am happy with how it finally came out - but it took a bit of head-scratching to get it figured out! 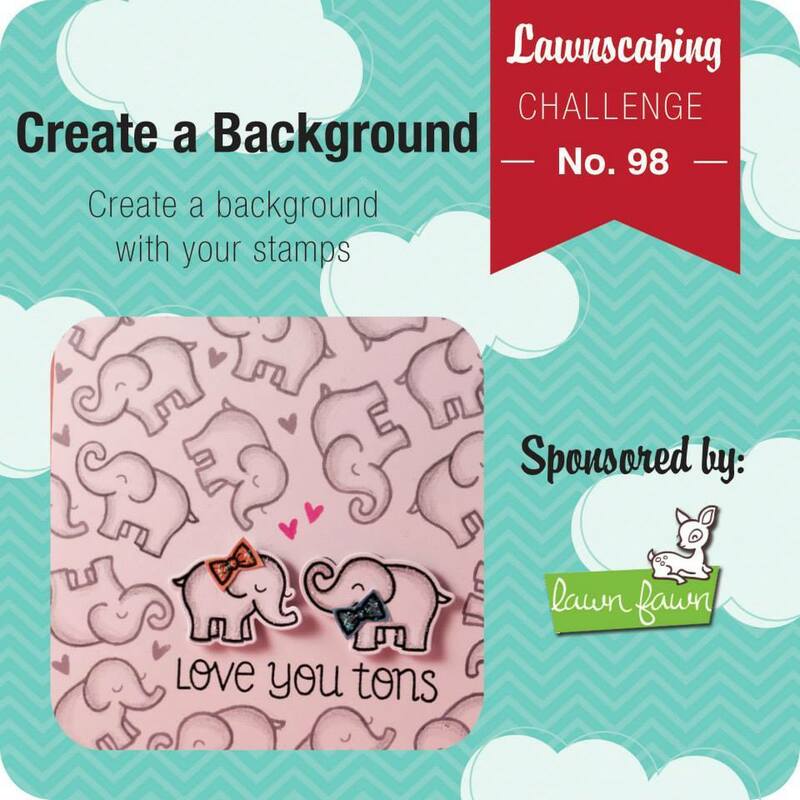 I started off by stamping the cute balloons from Lawn Fawn's Year Four stamp set. 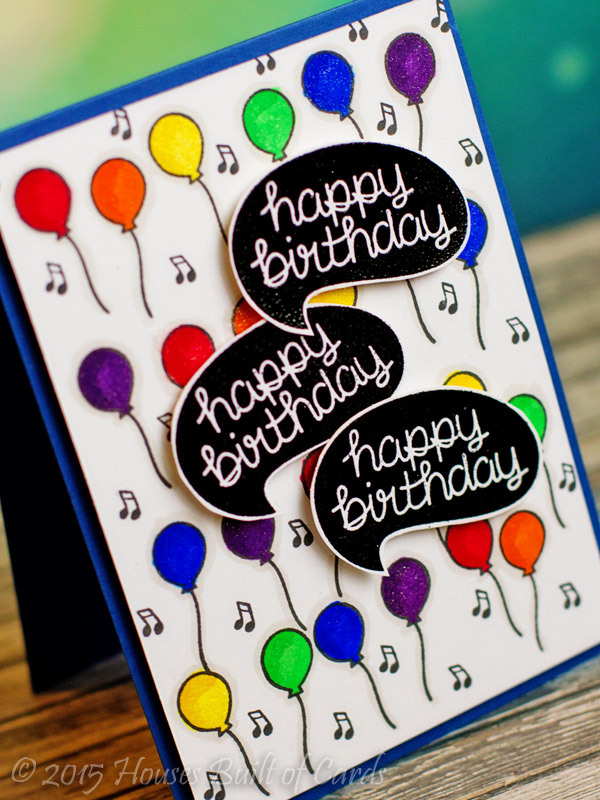 I added the musical notes from the same set, and colored the balloons with Copic markers, and added some Wink of Stella. That is where I ran into trouble - all my previous plans covered up too many of the balloons, and seemed like wasted effort for all that stamping and coloring! 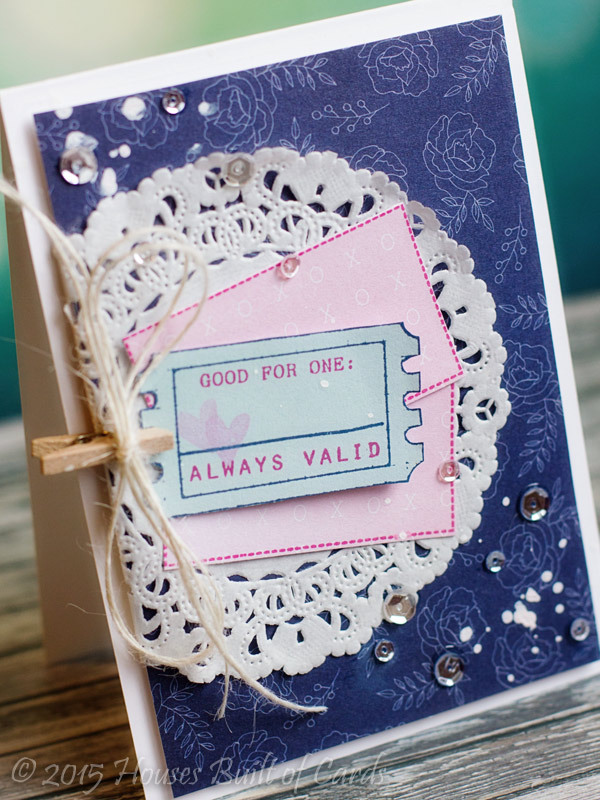 Finally found this stamp from Chit Chat that was a perfect fit! 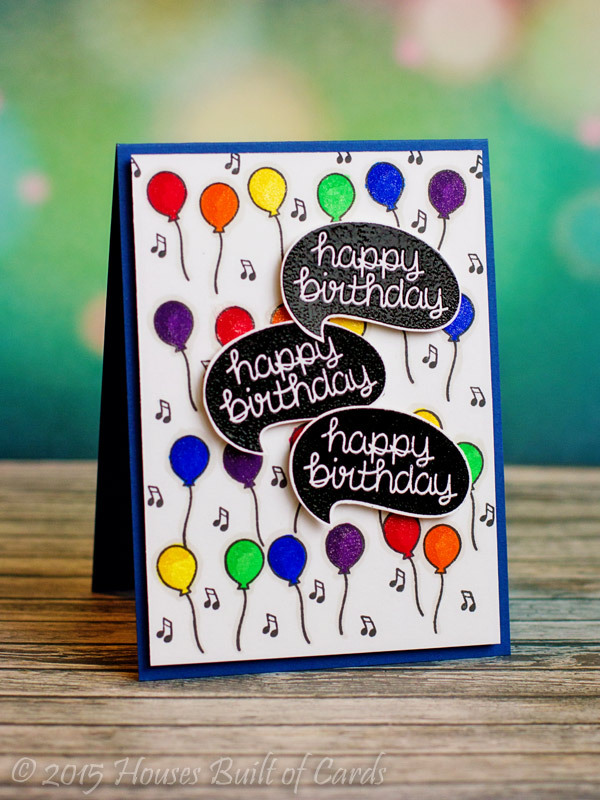 I stamped and heat embossed it in black 3 times, fussy cut out, and adhered with foam adhesive over the top of the balloons. PERFECT! 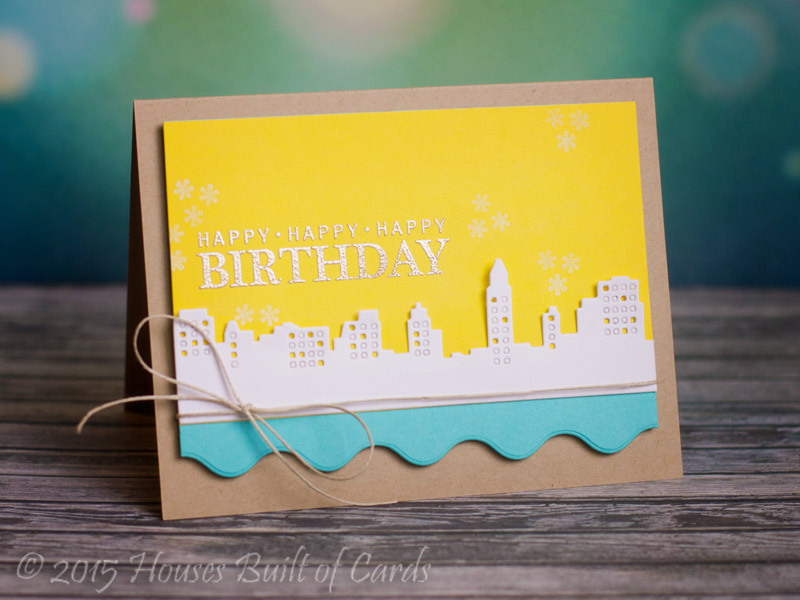 Finished off with a card base of blue MFT cardstock. 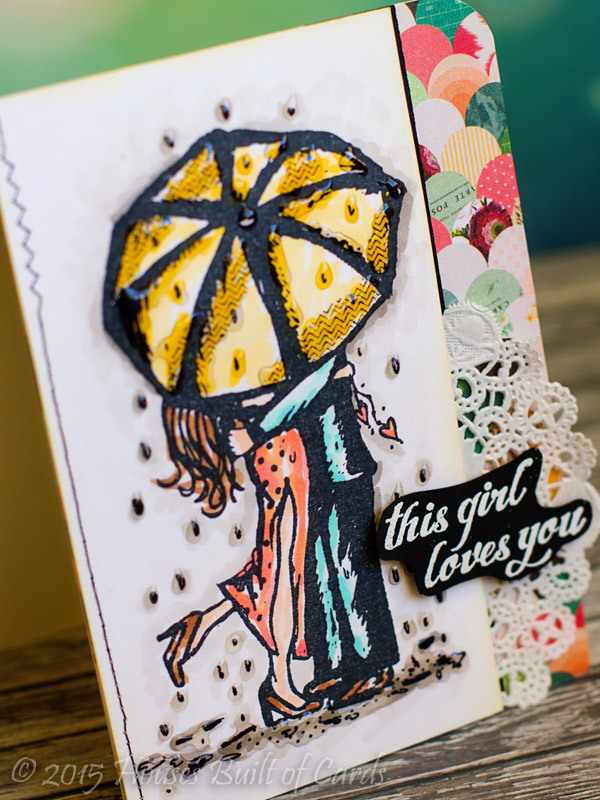 I started off with a Prima stencil, and cut a circle mask - then applied the embossing paste through the stencil and circle so it only ended up on that round shape. 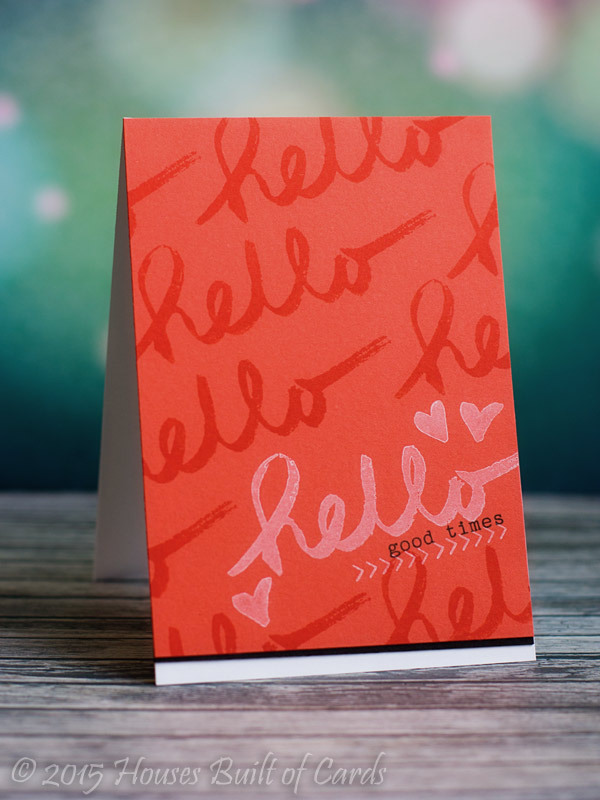 I then die cut the Hello Script word, covered it with lots of Wink of Stella, and glued it on my card front. 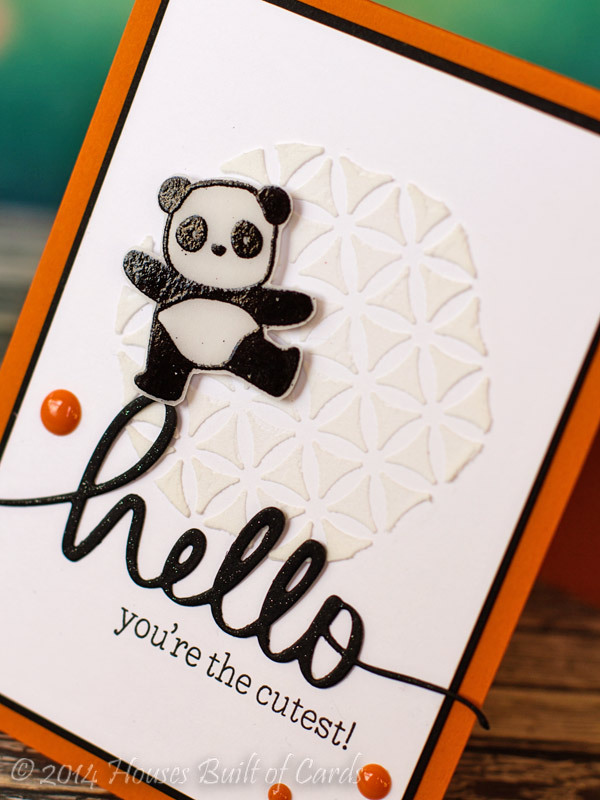 The panda from Pandamonium was stamped and heat embossed on vellum, then fussy cut out, and finally adhered with tiny dots of foam adhesive to look like he was standing on the top of the hello! 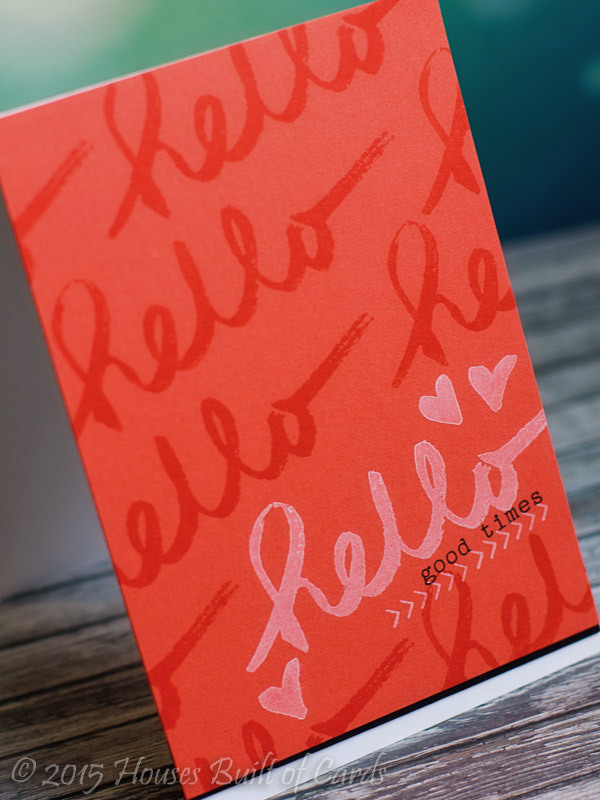 Stamped the rest of the sentiment, added enamel dots, then matted in black before mounting on my orange cardbase. Good morning! 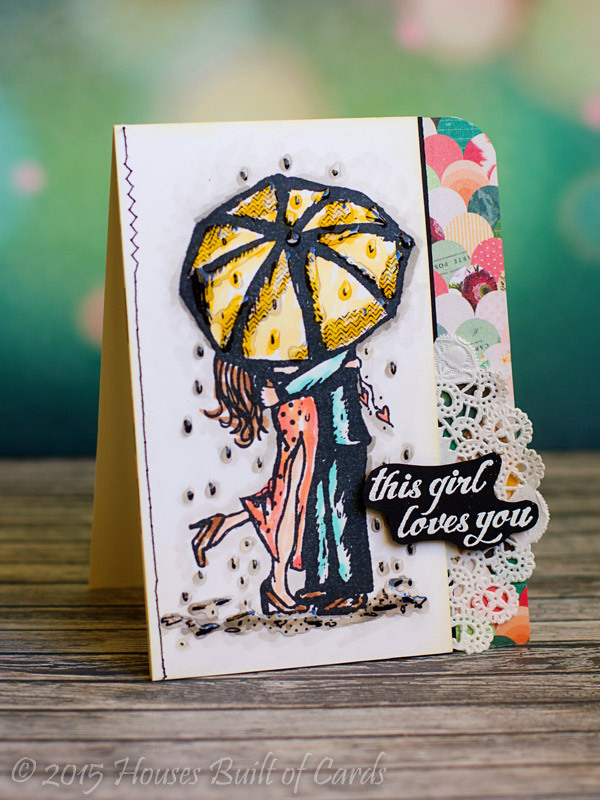 Super excited to share a card with you this morning - totally inspired by a challenge, and one of those ones that just came together absolutely effortlessly! That happens so rarely - and I always LOVE it when it does happen! 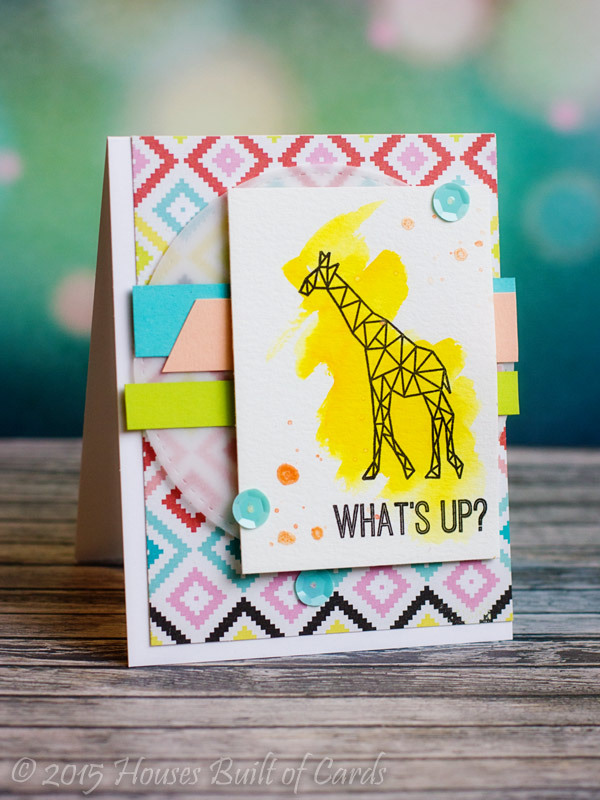 I used a new stamp set I hadn't had time to ink up yet from Altenew called Geometric Menagerie, and a bit of simple watercolors. I thought it was a perfect stamp for the geometric feel to the inspiration photo! I added some pattern paper from Basic Grey, a circle of vellum (to capture the circle in the inspiration photo) cut with a Lil' Inker's die, and a few randomly trimmed pieces of MFT cardstock. Finished off with a few large sequins from a Theresa Collins pack I picked up a while back at Joanns, and a little splash of coral Heidi Swapp Color Shine to finish it off! Good morning again! 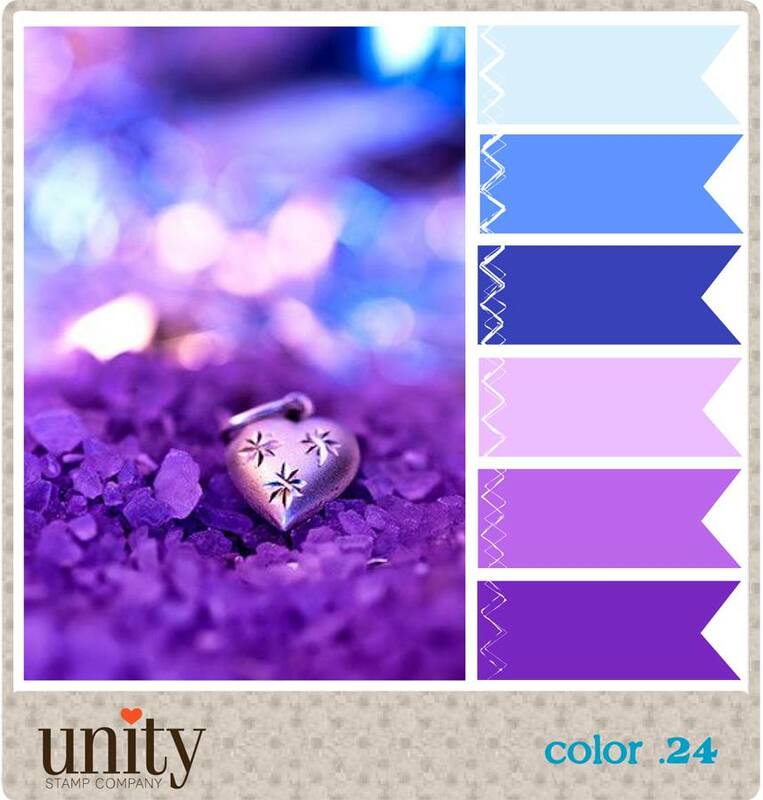 Stopping by once again this morning, this time to share a challenge card! I used the Die-namics Skyline border, and selectively punched some of the windows out. Used some yellow and blue cardstock, and punched the bottom of the blue by using just half of the (retired, I believe) squiggle border die. 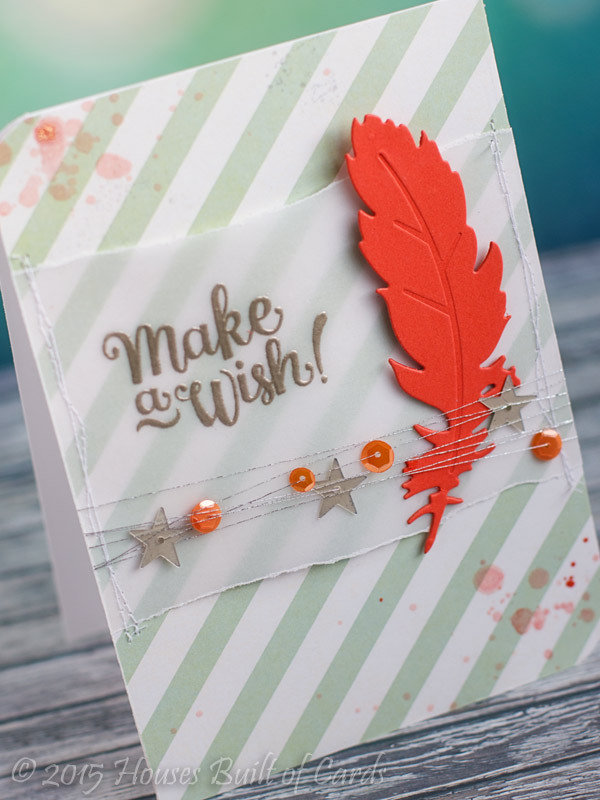 Stamped and heat embossed my sentiment from LJD Celebrate You, and added a few of the tiny stamps from that set (they kind of remind me of fireworks!) using some white pigment ink. Finished off with some Hemp Cord, and mounted with foam adhesive on my card base. I will probably use this image again with watercolor (because that seemed like the perfect fit!) - but it had been a while since I had pulled out my Copics and done some coloring, so I started there. I did it in a very sporadic and artsy style - not fully coloring the image, but leaving the colors a little blotchy on purpose. Added some Glossy Accents, selectively applied to give it a wet look, and used some distress ink on the edges to blend the white cardstock in better with my Crate Paper pattern paper. Added a line of machine stitching, a doily, and a sentiment from an older KOTM - December 2012. Good morning! 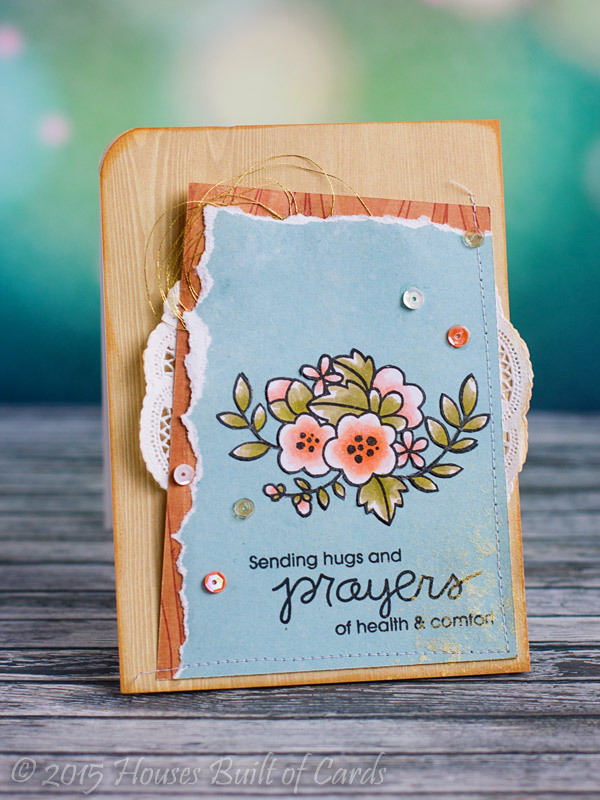 Excited this morning to be guest designing and hopping along with the Precious Remembrances shop to share their new release! You should have arrived here from Rosemary Dennis, and I'm the last stop on the hop today. 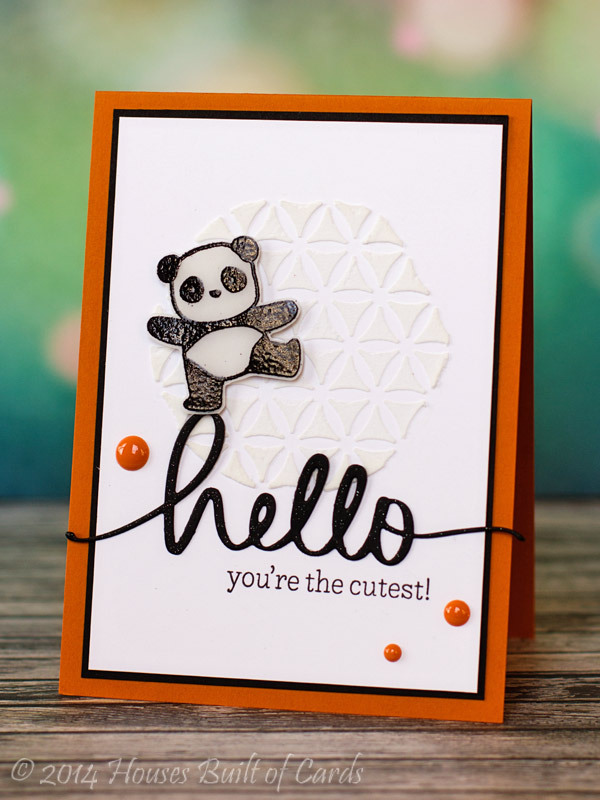 I used the large hello from This Moment, stamping it once in white pigment ink, then several times MFT Persimmon Dye ink on Persimmon cardstock for a tone on tone effect. 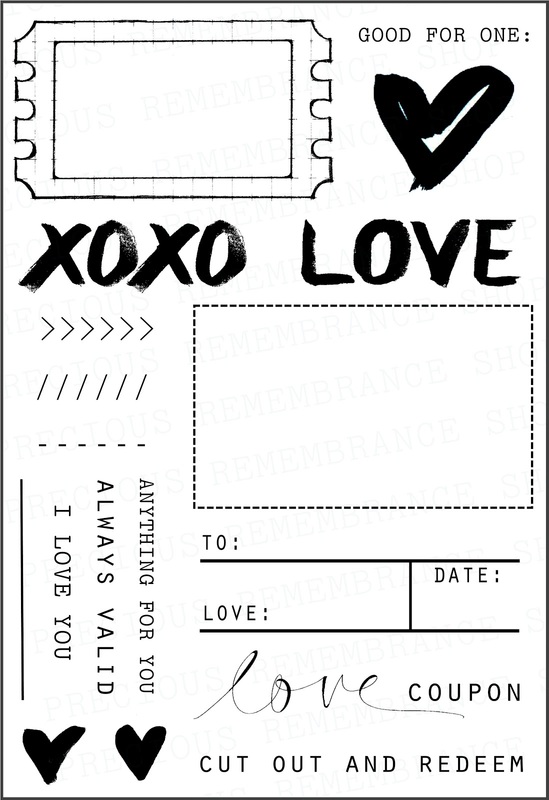 Added the hearts, little arrows, and "good times" from Love Coupon, then added a strip of black before mounting on my white cardbase and leaving a thin border. 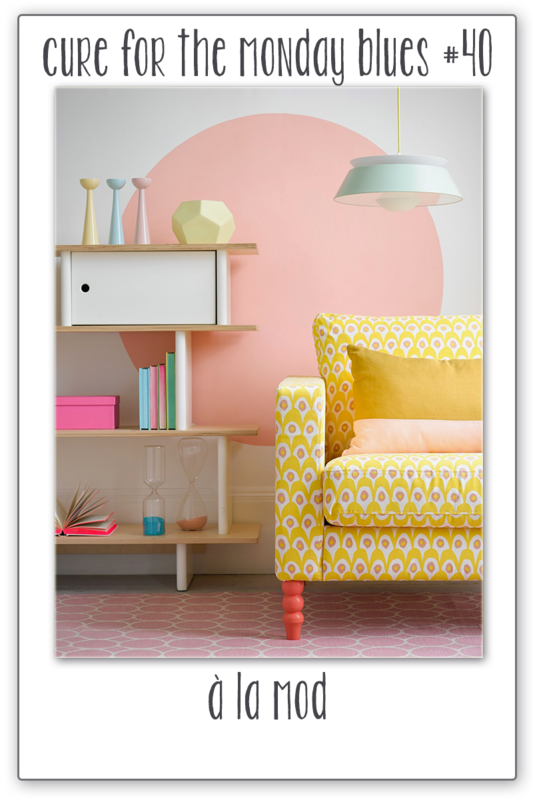 To keep updated with our projects, join us on our Facebook , Pinterest , Instagram if you haven't. Giveaway will end on Sunday January 25, 2015. 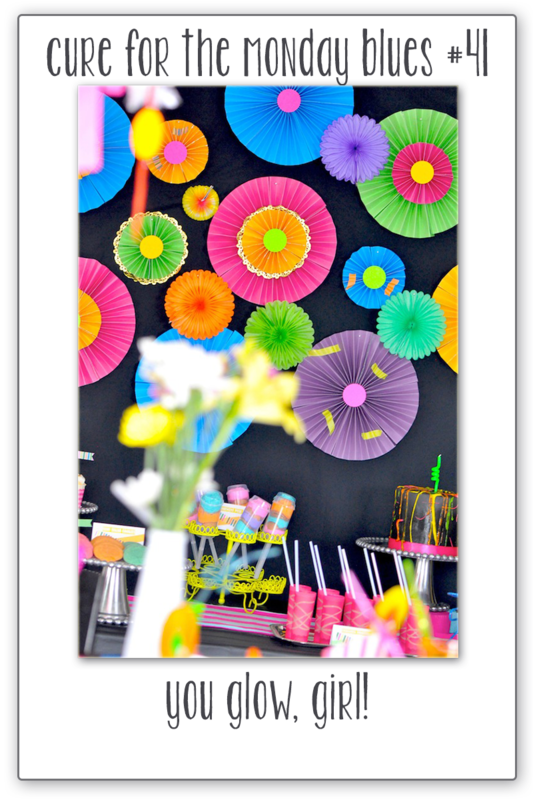 Par-tay like it's your birthday! So Deer to Me - 3 different cards!